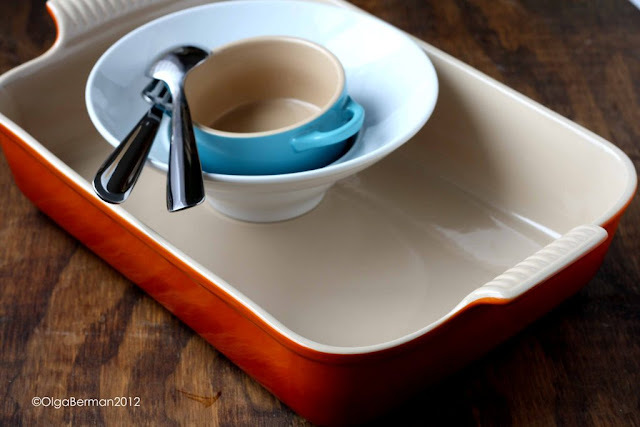 I get quite a few emails telling me about new cookbooks, cookware, food items, etc. Last month I received my first ever email about a cleaning product. I suppose it's fitting: if you cook, you have to clean the dishes (even if like me you absolutely HATE the task). 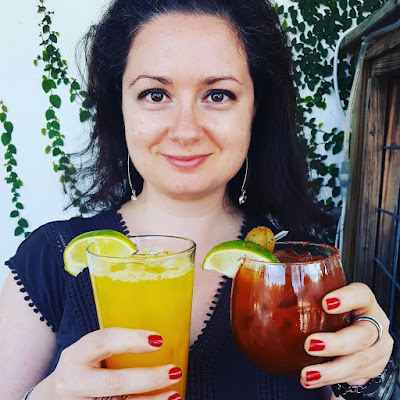 I was invited to take a Finish Sticky Dish Challenge, and Join the #FinishRevolution with the help of a new to me dishwasher product, Finish® Quantum®. Finish Quantum "has 3-chamber technology that releases agents that break down food residues: It’s so powerful, there’s no need to pre-rinse! It’s also wrapper free!" 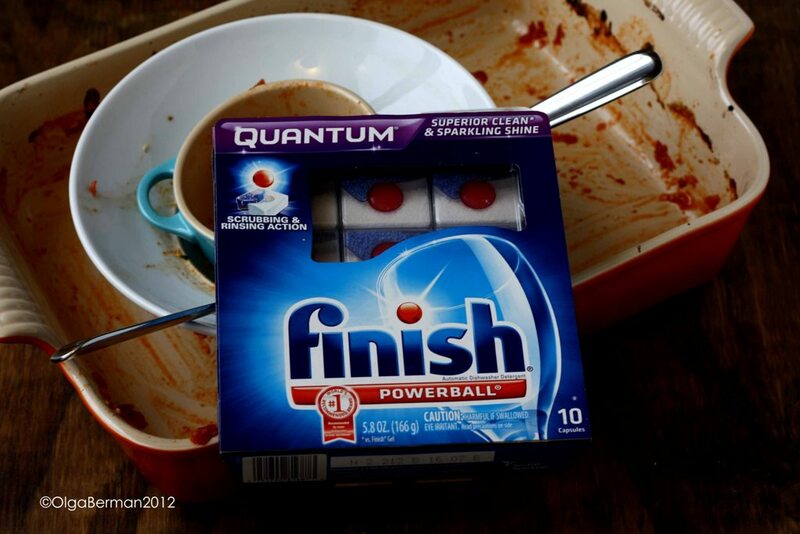 I would need to make a messy and sticky dish that will be difficult to clean and then test out the powers of the Finish Quantum. The kicker: I was not allowed to pre-rinse or soak my dishes and would have to let them sit overnight before washing them. Being the skeptic that I am, I thought there was no way this was going to work. But since the Finish Quantum people sent me ten tablets and a gift card to William Sonoma, I was willing to give it a try, all the while thinking what they would say if the tablets failed. 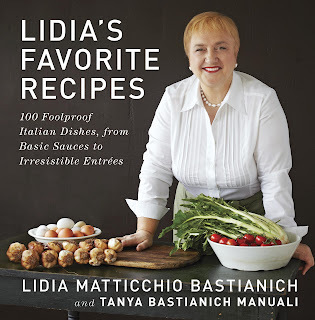 About the same time, I received a preview copy of Lidia Bastianich's Lidia's Favorite Recipes. I've watched Lidia's show on PBS for years and once saw her at an event in Pentagon City Mall! 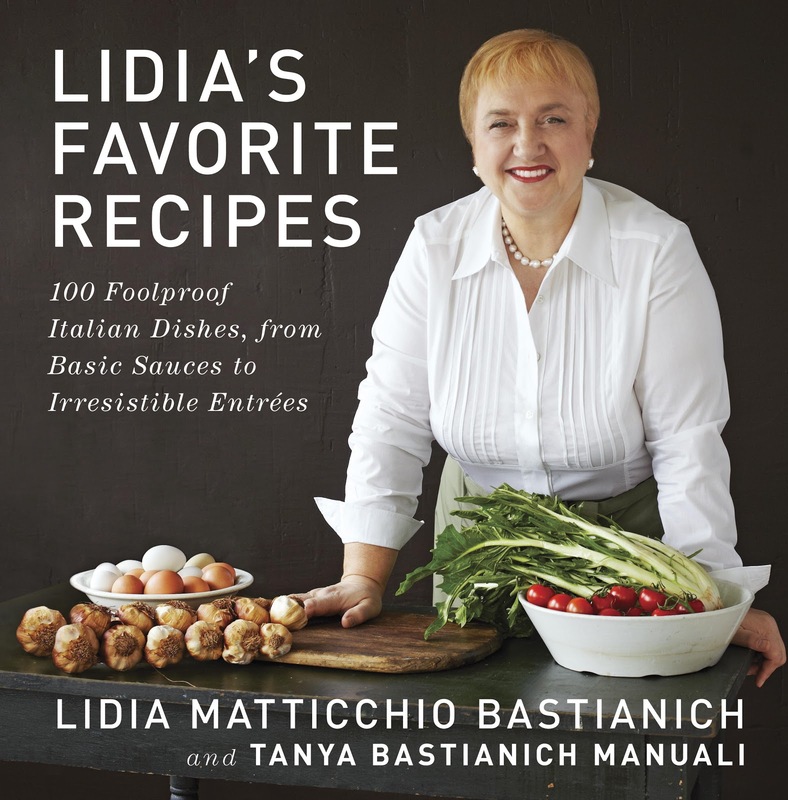 Lidia's latest cookbook is filled with family friendly Italian recipes and beautiful photographs. 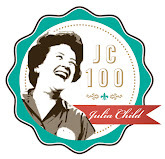 In fact, it has "100 foolproof Italian dishes, from basic sauces to irresistible entrees." 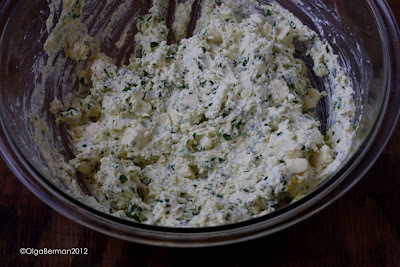 I decided to test one of Lidia's recipes in conjunction with testing Finish Quantum. What foods come to mind when you think sticky? For me, it's cheese! 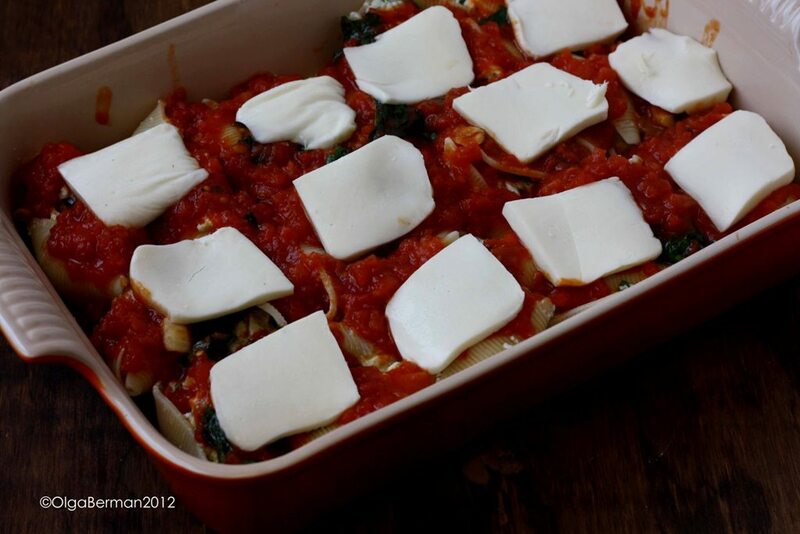 So I decided to make Lidia's Baked Stuffed Shells. 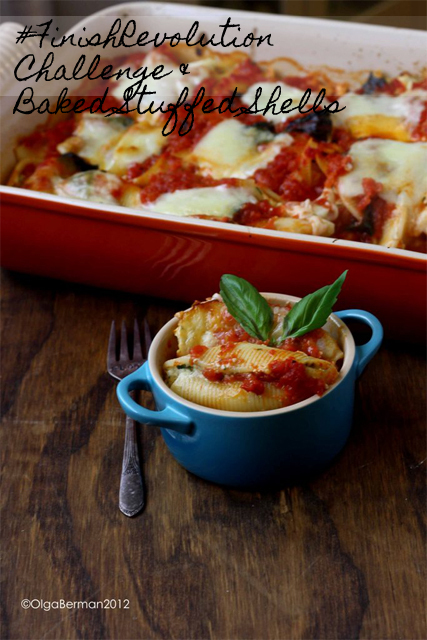 This was the first time I've made stuffed shells and let me tell you: AMAZING! What's not to like about pasta, three types of cheeses and tomato sauce? 1. Add tomatoes to a food processor and pulse until you reach the texture you desire. You still want little chunks of tomatoes to be visible. 2. Heat oil in a large skillet, add garlic cloves and cook for about 2 minutes. Carefully add tomatoes, red pepper flakes and season with salt. Bring the sauce to a boil, lower the heat and cook for about 30 minutes until the sauce has thickened. Remove the garlic cloves (eat them or spread them on bread! ), and add basil leaves. 3. 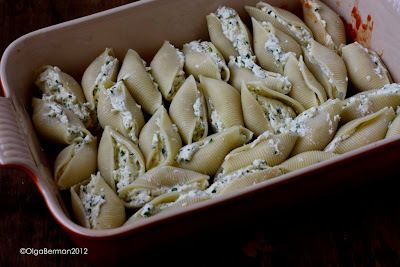 Meanwhile, cook the pasta for about 7 minutes, drain, rinse and cool. 4. Preheat the oven to 425F. 5. 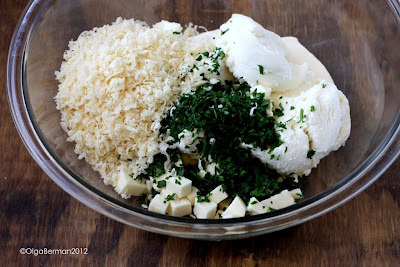 In a large bowl combine ricotta, cubed mozzarella, Parmigiano-Reggiano and parsley. Taste to see if you need any salt and/or pepper and then add the egg. Mix everything together. 6. Stuff cooked and cooled shells with the cheese filling. 7. 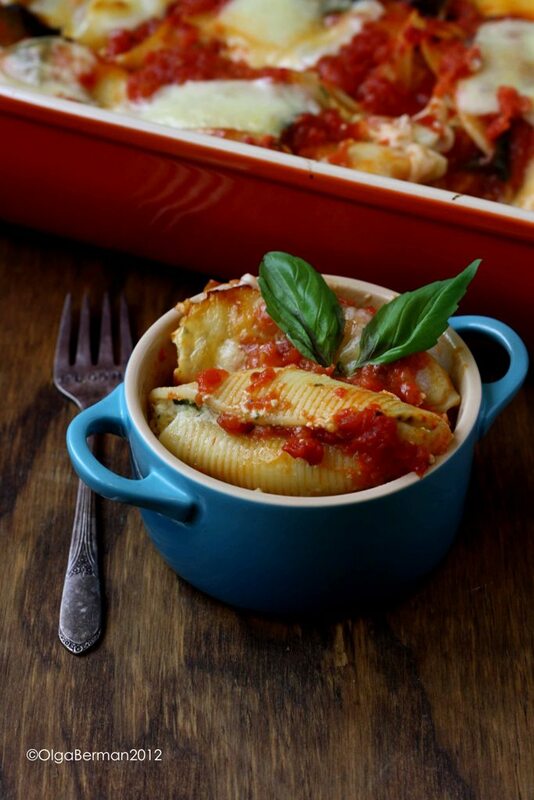 Pour about 1/4-1/2 cup of the tomato sauce into a deep baking pan, add a layer of shells, fitting them snugly together, cover with the remaining tomato sauce, sliced mozzarella and bake for about 25-35 minutes. Let the pasta stand 5 minutes before serving. My condo smelled amazing! 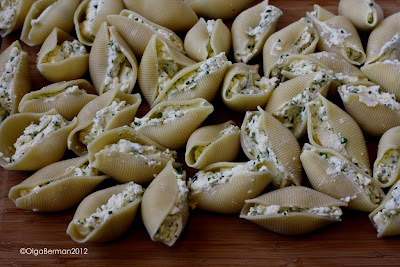 I really liked the texture of the filling because of the smooth ricotta and the diced mozzarella. But like I said before, I recommend you double the tomato sauce so you can add it to your final dish for a bit more flavor and richness. This dish feeds a lot! Unfortunately, hurricane Sandy showed up and I could not invite any of my friends over and ended up eating the pasta for quite a few meals and freezing the rest. The next day, I loaded my dishwasher, added the Finish Quantum powerball, and went about my business. When I opened the dishwasher door, I was shocked. It really worked! My dishes were completely clean!! Want to be part of #FinishRevolution? Go get your free sample and then test it for yourself. Disclaimer: I received ten Finish® Quantum® tablets and a gift card for William Sonoma as part of participating in the #FinishRevolution. All opinions are my own. Stuffed shells always look so complicated and time consuming. These look great. How long did all of the prep work take you? That's unbelievable. I'll need to have Jeff try those out. He does the dishes. :) And the stuffed shells look amazing. Whenever my mom makes stuffed shells, she uses any broken shells to make me a tray of unstuffed shells. 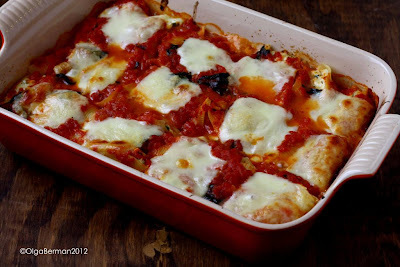 I do love the stuffing but sometimes I prefer more of a baked ziti-ish version.